A study of the impact of childhood tuberculosis (TB) in China has found it is most severe in young infants, many of whom still die from the infection. 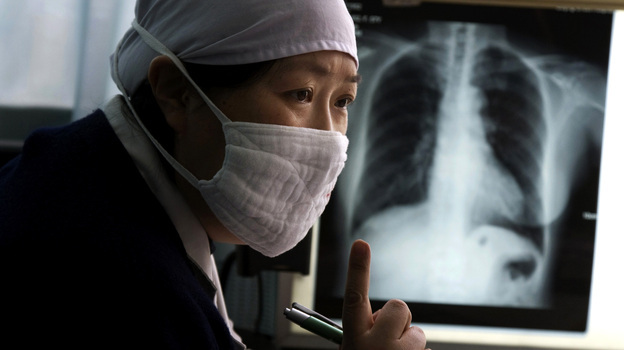 Researchers assessed the outcomes of children with TB treated at one of China's main referral centres for paediatric tuberculosis, the Beijing Children's Hospital. The review of the cases of 1212 children admitted to the hospital for the treatment of TB from 2002 to 2010. found that 54% had extrapulmonary tuberculosis (EPTB), 39% had tuberculous meningitis, and 31% had disseminated TB. The last two types were defined as severe TB. Most patients with TB (82%) were cured or completed treatment. However, there were more children aged under five and from rural areas with extrapulmonary tuberculosis than with pulmonary tuberculosis. More severe cases of TB were found in children under one year of age, and infants and those with severe TB were also more likely to have poor treatment outcomes (failed to improve or died).Patients with no BCG vaccination and a contact history at home had a significantly risk of contracting severe TB. Among those with extrapulmonary tuberculosis, only 61% had positive results with either tuberculin skin tests or chest X-rays. and health care in paediatric TB should focus on both extrapulmonary tuberculosis and severe TB, and patients aged under one year of age should be treated with special care."